Are you currently living with multiple sclerosis? In Observance of World MS Day on May 29th, Healthline is conducting a one-hour live Twitter Chat focused on Multiple Sclerosis, in conjunction with community partners and advocates: @MSassociation (Samantha Schech), @MSIntFederation(Ceri Angood),@WorldMSDay(Ayesha Ali), and Jeri Burtchell(@FingoHead). Join us as we discuss the meaning of World MS Day, the challenges for those living with MS, tools and tips to manage MS and how those living with MS share their stories. A “Twitter chat” is a virtual meeting of people on Twitter to discuss a common topic, sometimes called a “Tweetchat”. Wednesday, May 29th, 2013, from 11am-12pm EDT. Follow @Healthline on Twitter and search for the hashtag #LivingWithMS to view conversation. To join the chat, simply tweet a message with the hashtag at the end. You can also follow our community partners and advocates @MSassociation , @MSIntFederation, and @WorldMSDay, and @FingoHead. Healthline.com has partnered up with our panelists Ayesha Ali from World MS Day, Ceri Angood from MS International Federation, Samantha Schech from MS Association, and Jeri Burtchell to host this informative Twitter Chat about living with MS and managing its symptoms. Our Panelists will join us to share their expertise and resources on living with MS and bringing global awareness to MS. 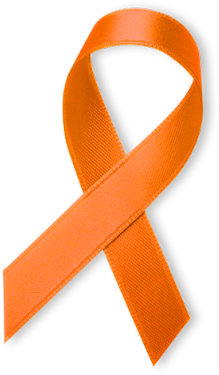 If you or loved ones are living with Multiple Sclerosis, we strongly encourage you to join the conversation and observe World. Ayesha is from the UK and has more than five years’ experience in strategic communications and campaigns. She has campaigned on various health issues including the rights of the elderly, HIV/AIDS, and reproductive and sexual health rights. Ceri is from the UK and has 10 years of program and strategic management experience in international development, with an MSc in Public Health from the London School of Hygiene and Tropical Medicine.